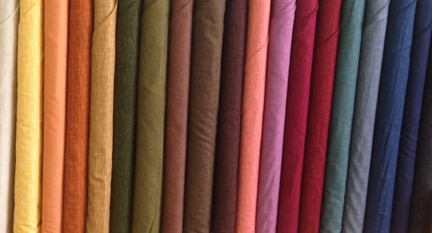 We have a new line of basic fabric in. It's called Shadow Weave and includes 19 colors. The subtle woven pattern makes this a great blender. 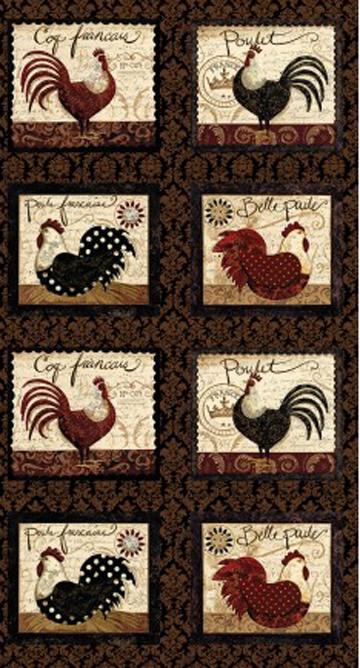 This would make up perfectly as placemats, a table runner, a wall hanging for the kitchen, or a throw quilt for your favorite chicken lover. There are four coordinating fabrics that go with this one. These pretty redwork bolts came in last week. They're a nice addition to our large collection of red/black/white prints. We received jelly rolls in Broncos colors the other day and Emily quickly whipped up this great wall hanging (could also be a table runner, but you'd need a pretty good sized table). Isn't this fun?! 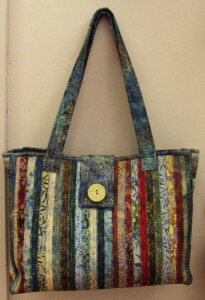 The pattern is FREE with the purchase of a jelly roll ($26.99). Hurry in . . . these won't last long. 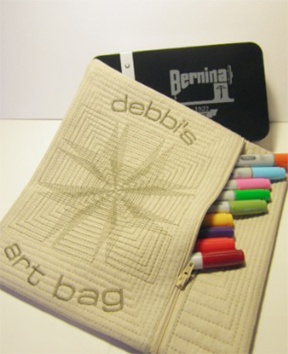 This little gem is the most recent addition to the BERNINA sewing machine line. 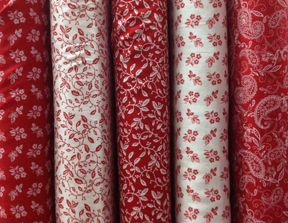 The 570QE replaces the 550QE that was, for years, a favorite among quilters. The 570QE is sure to be the same. It comes with a 1/4 inch foot and the BERNINA Stitch Regulator (BSR). This machine features total stitch control (a BERNINA exclusive), 12 LED lights, 1,000 stitches per minute, free hand system, 11 needle positions, stitch memory, 642 stitch patterns, and much more.The 570 is also embroidery module capable, so if you decide now or in the future that you'd like to do machine embroidery you're all set. 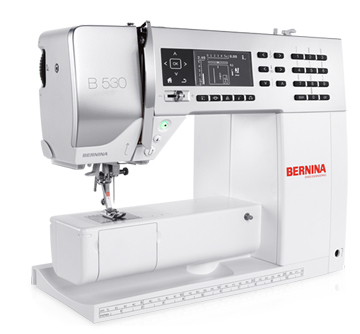 We've also added the BERNINA 530 to our inventory. It features the free hand system, 12 LED lights, 900 stitches per minute, 11 needle positions, stitch memory, 395 stitch patterns, and more. You can add a BERNINA stitch regulator to this machine. 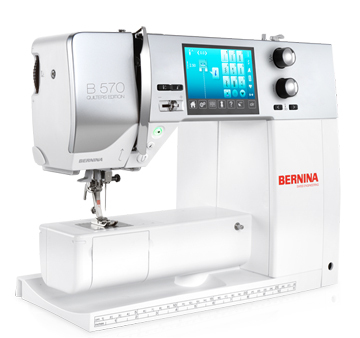 If you click the links above to check out these machines further, note that our prices are LOWER than the MSRP shown on the BERNINA website. With these two additions to our BERNINA department, we now proudly carry every model in the 2, 3, 5, and 7 series machines. Come by this week to see these two new additions, as well as two gently used machines that we have available. We have several of these cute panels left along with coordinating yardage. Come in this week to take advantage of 25% off. 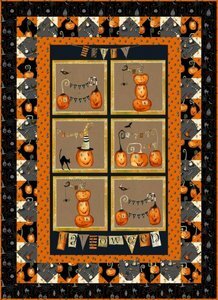 You still have four weeks until Halloween to whip us a wall hanging, throw quilt, pillowcases, or trick-or-treat bag for the little ones. We've been cleaning out stuff from storage over the past few days (you wouldn't believe how much Emily delivered to Methodist Thrift today!). 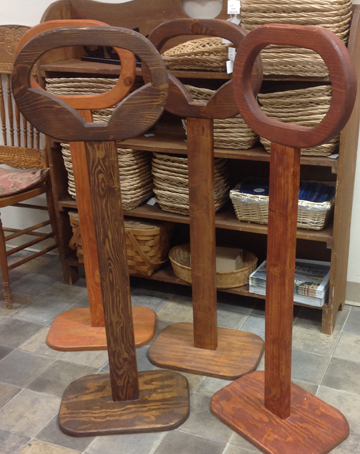 We decided to hang onto these quilt stands, however, and offer them free (first come first served, one per person) to our customers. If you'd like one of these to display a quilt in your home, pop on over to the shop. No phone calls, please. Two items have turned up that need an owner - one bobbin case and one point turner. If you're missing one of these items please stop in. Thanks! 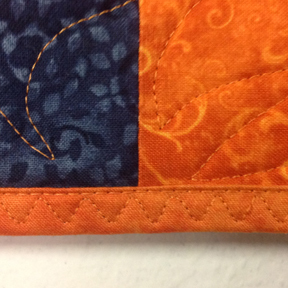 We had 63 total responses to our survey about quilt binding. Not everyone answered every question. Here are the results. Which of the following projects do you always or usually machine bind? If you machine bind, which technique to you most often use? However you do your binding, how wide to you usually cut your fabric? And here are a few of our favorite comments that were submitted. • I use an edge stitch foot to stitch in the ditch from the front of my project. • I hold my binding as taut as possible without stretching it. Doing this and always using a walking foot when attaching binding helps eliminate waves and puckers. • To be very accurate at the mitered corners stop exactly at your quarter inch mark. As I approach the mark, I set the stitch length to a very short stitch so I can stop and turn at the exact spot. • When machine stitching the binding on the back slant off the edge 1/4 in from the corner, then when you fold the corner over it makes a nice clean miter. • I got nuthin'. Bindings are a pain. Thanks to everyone who responded to the survey! Since quite a few people do machine bind on at least some of their projects the tip this week is a simple one: If you've never done machine binding, give it a try. Obviously you wouldn't do this on a quilt you were planning to enter into a show or give as a special wedding gift, but for a baby quilt that's going to get washed constantly, potholders that you plan to use for more than decoration, or for a seasonal wall hanging or tablerunner that's only out for a few weeks each year, save yourself time (to work on other projects) by speeding up the binding process.